Jojo Ruf (COL ’08, MBA ’19) has been involved in the Washington, D.C., theater scene as an audience member, an artist, and a producer for most of her life. But this month, she started a new chapter in her career. On Jan. 28, Ruf became the managing director of Theater J, a professional Jewish theater in the District known for plays that highlight the Jewish and human experience. She hopes to use her vision of theater as a vehicle of understanding and peace in her new position. it has shown and premiered plays from both Jewish and non-Jewish playwrights and was awarded the Mayor’s Arts Award for Excellence in an Artistic Discipline in 2008. Though she is not Jewish, Ruf admires the way Theater J uses Jewish themes and artists to touch audiences across a myriad of religions and backgrounds. Throughout her career, Ruf has tried to promote this diversity of communities and stories in theater, a kind of fellowship through art she wants to bring into her time as director of Theater J.
love for performance. Ruf’s career has taken her around the world in pursuit of new ways to use theater to communicate with audiences. While she was at Georgetown, Ruf fell into theater unexpectedly. 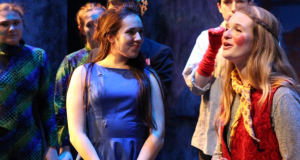 Though she’d performed in a few plays in high school, she didn’t enter Georgetown’s theater community until her second semester freshman year. She joined the co-curricular Nomadic Theatre group and eventually became its executive producer. In 2008, she graduated with majors in English and Theater and Performance Studies (TPST). Though she was a part of Georgetown College’s inaugural class of TPST majors, her theater major was an accident. When the College added the major, she realized that she had already taken nearly enough classes to complete the requirements and decided to go for it. After graduating, Ruf worked for the National New Play Network, an organization that works with more than 100 member theaters to encourage producers to stage original plays, before settling back at Georgetown in 2012. She was a part of the inaugural staff of Georgetown’s Laboratory for Global Performance and Politics. The Lab works with international theater groups to stage productions in the U.S. and abroad. In July 2017, the Lab travelled to Segovia, Spain to premiere I Pledge Allegiance, a play written and produced by Georgetown alumni and students about growing up after 9/11 and living through the 2016 election. In September 2017, they hosted the National Theatre of Ghana in a three-day D.C. residency, during which they performed Tennessee Williams’ Ten Blocks on the Camino Real. Over the course of her time at the Lab, Ruf managed 16 full-scale productions and workshops and eight residencies. She said she was most moved by the impact their plays had on people. Ruf experienced one such engaging production in 2015, when she was the coordinating producer of D.C.’s inaugural Women’s Voices Theater Festival. The festival brought together theater groups from the area to highlight world premieres of plays written by women. Ruf believes this effort is significant because the theater world has not yet reached gender parity. Maya Roth, a TPST professor, said that plays by women are often written off as special interest productions. “People are trained to read a male narrative or a straight narrative or a white narrative as being universal and applying to everyone,” Roth said. Ruf worries that theater also underrepresents work by people of color and transgender artists. A transgender playwright has never won a Tony award—widely considered the most prestigious honor in American theater—or been honored at the Kennedy Center. In July 2018, Young Jean Lee’s Straight White Men made her the first Asian-American woman playwright to open a show on Broadway. To Ruf, audiences risk missing something when a plurality of voices fail to be represented. Ruf thinks that a wider breadth of stories told onstage can benefit not only theater, but audiences as well. In an effort to champion diverse voices in American theater, Ruf has taken various positions that support new playwrights. She spent five years working for the National New Play Network. 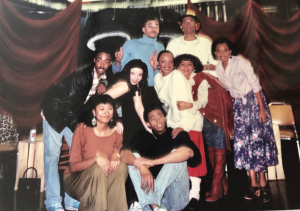 Ruf was also the founding executive and creative producer of The Welders, a D.C. theater group composed of six playwrights. Each cohort of playwrights pens and then stages a play. Once all six plays have been produced, the organization turns over to a different group. Ruf saw her work with The Welders as a chance to open doors for new artists. Roth, who worked with Ruf as a Georgetown student and then at the Lab, said that Ruf had an unusual combination of skills in art and in management. As Ruf studies for her MBA, her work managing the Lab and The Welders has given her experience in the behind-the-scenes reality of theater business. 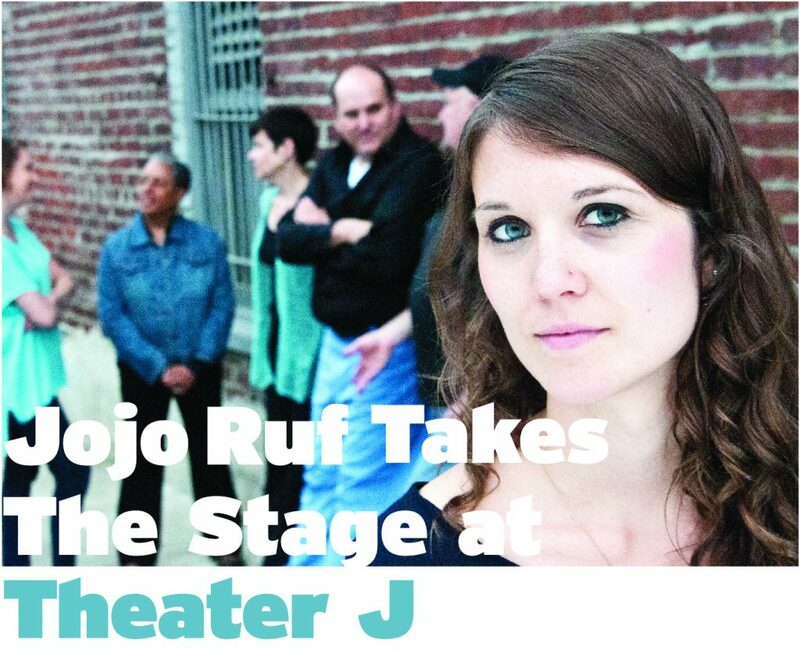 In a statement, Theater J’s artistic director Adam Immerwahr praised Ruf’s resumé, saying that he had high expectations for her work at Theater J. Despite her years of experience working in the business side of theater, Ruf has encountered some logistical issues that make her work more and more challenging. Since President Donald Trump took office in January 2017, his administration has slowly tightened the requirements to obtain an O-1B visa, which grants foreign artists of “extraordinary capabilities” the ability to perform in the United States. The government has upped the standards artists must meet in order to work in the U.S. As a result, Ruf said, artists have found it harder to travel here. Roth said that artists are caught in the same net that currently ensnares DACA recipients and Middle Eastern immigrants. “It’s harder and harder to get visas for artists, so that communication is getting harder,” Ruf said. Still, Ruf believes in the power of live theater to forge friendship through shared performances. In today’s world, Ruf believes that building this understanding is more crucial than ever. She referenced deeply divisive 2018 elections in Brazil and Poland, as well as turmoil in Venezuela, as examples of where this community is lacking. “In this time where humanity and empathy are needed more than ever, not just in the United States but internationally, the idea that a theater, any theater, is asking hard questions, is thinking critically of what our role is in a society and what our role is as humans is important,” Ruf said. Though Ruf is bidding farewell to Georgetown’s international theater efforts for now, she’ll be back on campus soon. 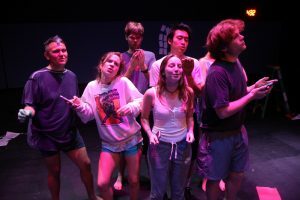 On March 13, Theater J will open The Jewish Queen Lear at the Davis Performing Arts Center, featuring a handful of Georgetown students in both the cast and crew. Ruf is no longer a child attending eccentric plays in D.C. with her father, and she’s come a long way from her days as an accidental theater major with a love of storytelling. Now, at Theater J, Ruf can transform her experiences in theater into a reality for different audiences.